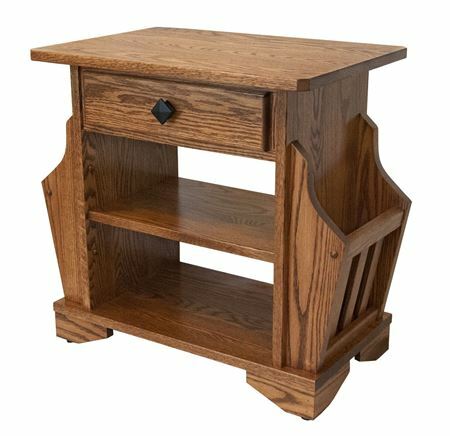 Our Amish craftsmen create made-to-order living room furniture built with high-quality hardwoods, such as oak, cherry, and maple. 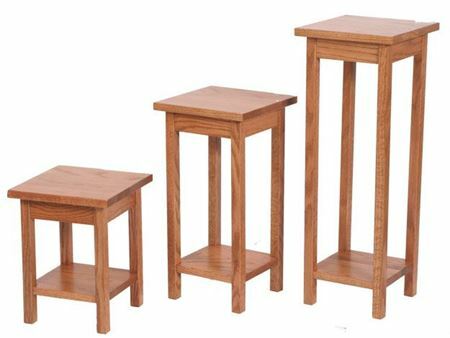 Their expert craftsmanship, paired with the materials used for construction, ensure that their furnishings, which include Amish made end tables and Amish wall décor, will outlast the majority of modern living room furniture. 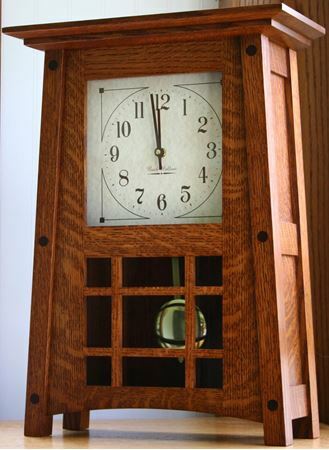 Most of our Amish made end tables also double as magazine racks, while our Amish wall decor consists of Amish made clocks, which make excellent heirlooms to pass down through the generations. Explore our selection and spruce up your living room with a piece of enduring Amish craftsmanship today. 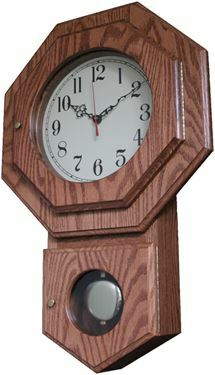 Our Amish made Mission Wall Clock measures 21" high, 15" wide, and 6" deep. Though it is a wall clock, it will easily sit on a mantle. It runs on a "C" battery, and comes with a 5 year warranty. It's features include a Dual chime movement, chimes Westminster or Whittington, chimes every 1/4 hour,Volume control and night silencer for those light sleepers among us. Keeping it simple.....Large, easy to read number display, and really reminiscent of the old school house look...comes with a 5 year warranty, duel chime,volume control with night time shut-off. This popular mantle piece measures 19 1/2"tall, 14"wide, and 6 1/2"deep. 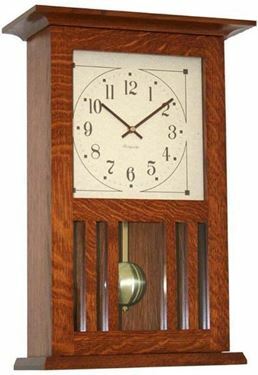 It features: A quartz Dual Chime Movement, Chimes Westminster or Whittington, Chimes every 1/4 hour, Has volume control and night silencer Comes with a 5 year warranty Runs on one "C" battery Shown to the left in Quarter-sawn white oak, finished in a Michaels cherry stain finish, and is normally in stock for immediate shipping. Offering a unique blend of craftsmanship and functionality, this elegant timepiece is sure to bring beauty to any room. This striking timepiece will keep you on time while adding style and class to any room.